The Raise Your Vision Online Forum brings ministry-focused equipping into your home or office, helping you cultivate a generous culture in your ministry. We offer resources from the best practitioners in ministry today! Raise Your Vision is THE opportunity for you to bring each of your ministry leaders and stakeholders together to learn from the best, advancing the culture and growth of your ministry. We have taken advantage of the best technology available to bring the best in ministry to your home or office in an interactive, cost-effective forum. Join us today for equipping geared for you, increasing your depth and that of your organization. Instructions: Add to cart the Christian Foundation Combination. Then select any two books of your choice. At checkout apply this discount code 55VHTHPZEJE0 and your 2 extra books will be FREE! Over 250 pages of foundations ready to give is available for you. Some organizations require only that you fill out an online form. This is the opportunity for your organization to find the funding you need…Here is a useful resource for you to get started. A great instruction manual that will change the way your Christian nonprofit raises money and give you the opportunity to move your ministry to the next level. Secure needed resources and funding by learning to win at grant proposal writing. 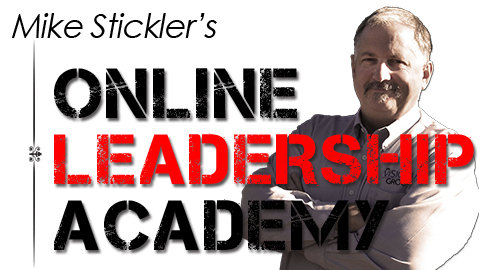 The Mike Stickler's Leadership Academy is your one-stop, 24/7 resource for everything your organization needs to grow. ...a journey that will deepen your life and impact your family, your church and your community. In just 41 days you can see your life awaken, faith grow and a life of sacrifice experiences. In just 41 days you can begin to deepen your life of generosity. Rarely does your generosity motivate others into their own personal lifestyle of generosity. But we want to challenge you to take a few minutes each day, to read A Journey to Generosity and take the challenge. Go ahead; see if the Holy Spirit will deeply change you with each challenge. Then take the ultimate generosity challenge and buy one book for your friends and your Pastor. Ask them to read it and take the daily challenge. Imagine what might just happen next. Why is a board necessary? Beyond the fact that U.S. law requires each nonprofit organization establish a board of directors, the board plays a primary and important role in nonprofit organizations. They have vast responsibility, yet, unlike staff members, aren’t paid for their work. A well-structured, well-managed and well-trained volunteer board is a must for ensuring nonprofit organizations carry out their mission and vision in the community. In addition, an effective board ensures the future viability of the organization through fundraising and strategic planning activities. Chose well: They are the backbone of your organization. And surprise! He blessed you out of your ears and now your members don't fit in your facility anymore. What a great problem to have! Of course, guests can enjoy the view from the parking lot for only so long. Now it's time to build. Unfortunately, “build” is a scary word for ministries. You have lot's of good questions: What steps do you need to take to establish a successful building campaign? Who should be involved in the administration? How can you develop realistic foresight? Accessible goals? And of course, how can you be sure that a capital campaign is God's will for your ministry at this time? Get timely information on the subject here. There is much at stake with this critical decision, this eBook will answer questions and give you the ground work for continuing with the project. Whether the answer is YES or NO, get answers YOU need with this resource. We offer resources from the best practitioners in ministry today!